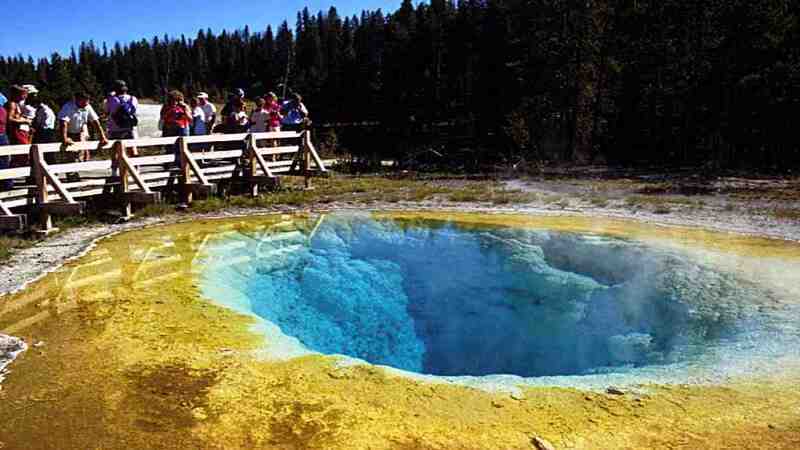 The first National Park in the world, Yellowstone spans an area of 3,468 square miles (8,983 km2), comprising of lakes, canyons, rivers and mountain ranges. 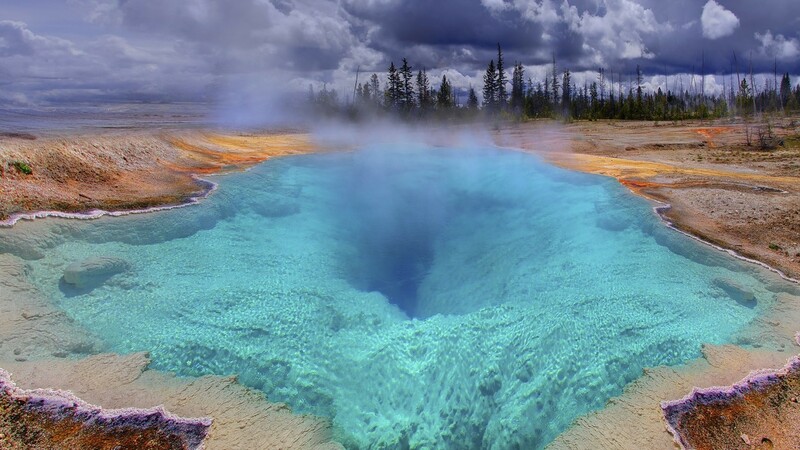 Yellowstone Lake is one of the largest high-altitude lakes in North America and is centered over the Yellowstone Caldera, the largest supervolcano on the continent. This area has approximately 2,000 earthquakes annually, more than 10,000 hydrothermal features and more than 300 geysers, including the famous Old Faithful. 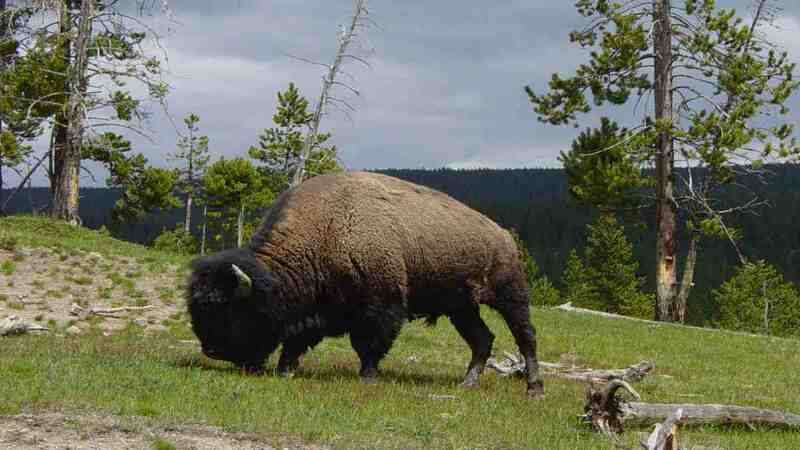 Several species of animals that are either endangered or threatened live here, including grizzly bears, lynx, bald eagle, gray wolf and over 3,700 bison!